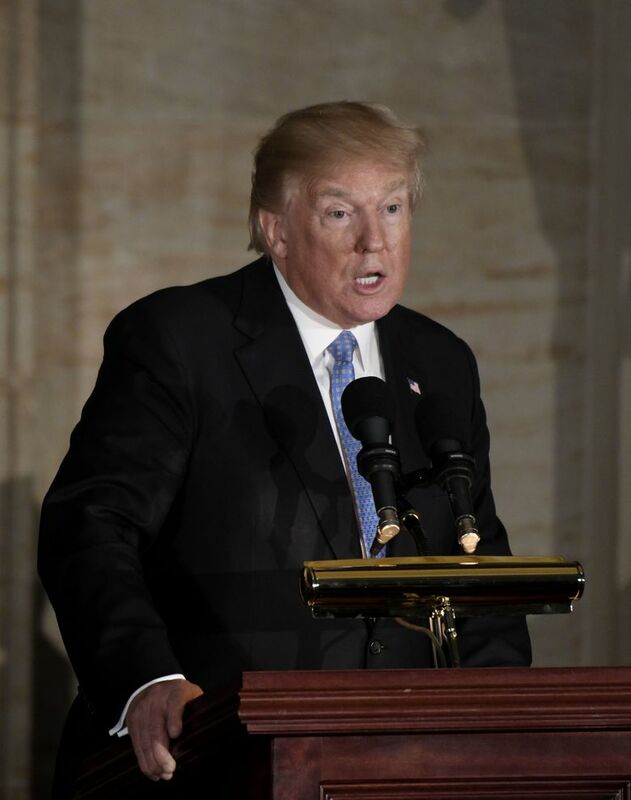 WASHINGTON — Cardiologists not associated with the White House said Wednesday that President Donald Trump’s physical exam revealed serious heart concerns, including very high levels of so-called bad cholesterol, which raises the risk that Trump could have a heart attack while in office. Dr. Ronny Jackson, a rear admiral and the White House physician, said Tuesday in his report on the president’s medical condition that Trump was in “excellent” cardiac health despite having an LDL cholesterol level of 143, well above the desired level of 100 or less. Dr. David Maron, director of preventive cardiology at Stanford University’s medical school, said Wednesday that it was alarming that the president’s LDL levels remain above 140 even though he is taking 10 milligrams of Crestor, a powerful drug that is used to lower cholesterol levels to well below 100. Other cardiologists also disputed Jackson’s rosy assessment of the president’s heart health. Several said Trump’s goal should be to get his LDL below 100, or even under 70. He has a real risk of having a heart attack or stroke, especially considering his weight and lack of exercise, they said. Dr. Eric Topol, a cardiologist at the Scripps Research Institute, said it is impossible to ignore the dangers of the president’s elevated cholesterol levels when providing an overall assessment of Trump’s health. During an appearance Tuesday in the White House briefing room, Jackson said he would be prescribing a higher dose of Crestor, the brand name for rosuvastatin, to help lower the president’s LDL levels. All of the cardiologists interviewed said that would be essential in trying to control Trump’s risk of a heart attack, though several said they wondered whether Trump was regularly taking his medicine as prescribed. Dr. Daniel Rader, director of the lipid clinic at the University of Pennsylvania’s medical school, said that taking a daily dose of 10 milligrams of Crestor should reduce LDL levels by at least 30 percent, which means that Trump’s LDL started out over 200, a dangerous level. He noted that a man who recently started taking a statin and who had an LDL over 200 for most of his life is at much higher risk than someone whose LDL was normal until recently and who then started taking a statin. Jackson said he is also pressing Trump — who at 6-foot-3 and 239 pounds is just below the official label of obese — to eat better and abandon his largely sedentary life for one that includes exercise. On the positive side, Jackson also said Trump had no history of smoking or drinking and did not have diabetes. An exercise stress test using a treadmill showed “above average” capacity for his age. An ultrasound of the heart was normal, he said. Asked whether Trump has heart disease, Jackson said he did not. “Technically, he has nonclinical coronary atherosclerosis,” Jackson told reporters. 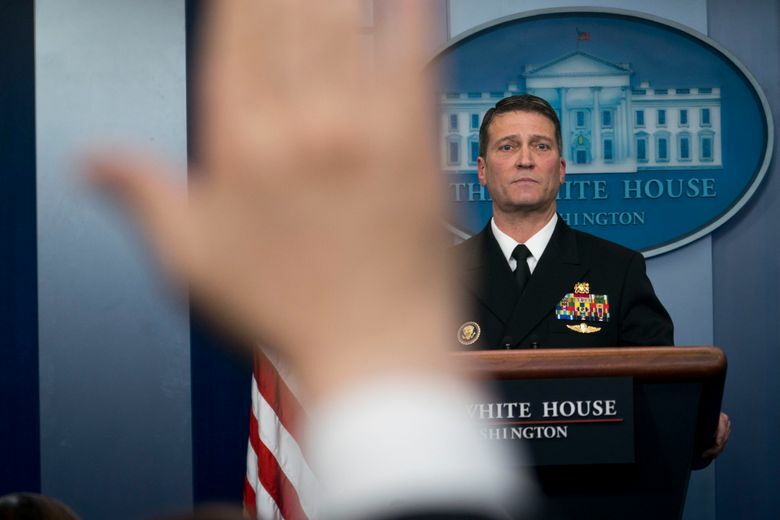 Outside doctors — who have not directly examined Trump — questioned that conclusion, saying the combination of Trump’s weight and the cardiac test results raised more concerns than Jackson’s comments would reflect. Dr. Sanjay Gupta, the chief medical correspondent for CNN, repeatedly expressed concern Wednesday about test results that showed Trump’s coronary calcium score had increased to 133, from 34 in 2009. On CNN, Gupta repeatedly showed a chart suggesting that levels above 100 indicate someone with heart disease. Topol and the other cardiologists contacted Wednesday disagreed with Gupta about the calcium test, which measures the amount of plaque containing calcium in a person’s blood. Higher numbers indicate the development of coronary artery disease, which could lead to dangerous blockages in the heart. But Topol said he would not be concerned unless a patient of Trump’s age came to him with calcium levels of 700 or more. Rader and Maron said Trump’s calcium score does not mean much. If people take statins, their calcium scores go up because statins help plaques heal and leave behind calcium-containing scar tissue. “I have seen this so many times. I tell people who have been on statins not to have it redone,” Rader said. The cardiologists said the president’s weight and diet were a serious problem that probably contributed to his high LDL level and increased his risk for heart problems. Topol dismissed as irrelevant the debate about whether the president technically met the definition of obese. Sarah Huckabee Sanders, the White House press secretary, stood behind Jackson’s assessment of the president’s health, noting Wednesday that he has been a White House physician for 12 years, treating presidents George W. Bush and Barack Obama in addition to Trump. “We support what he said yesterday 100 percent — that he is in excellent health,” she said. Several former members of Obama’s White House staff echoed that praise of Jackson. Even so, the cardiologists said Jackson understated the president’s risk of having heart trouble. Maron calculated the president’s risk of having a heart attack or stroke in the next 10 years, based on the high LDL levels and normal blood pressure. The result placed him in the top 25 percent of the population. “I would call that high,” Maron said.